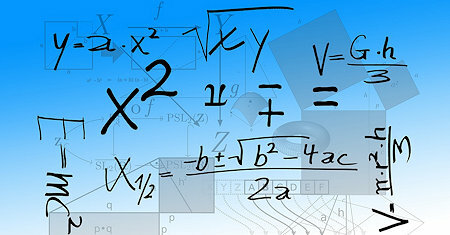 If mathematics is the language of science, then algebra is the grammar of that language. This text will cover a combination of classical algebra and analytic geometry, with an introduction to the transcendental exponential and logarithmic functions. Table of Contents: Algebra Fundamentals; Graphing Functions and Inequalities; Solving Linear Systems; Polynomial and Rational Functions; Radical Functions and Equations; Solving Equations and Inequalities; Exponential and Logarithmic Functions; etc. Intermediate Algebra consists of 12 lessons. Each lesson includes a MiniLesson (video examples), Practice Problems, and an end-of-lesson Assessment. The workbook can be used as a stand-alone resource or in conjunction with MathAS system. The book commences with exercises in Arithmetic suitable to boys who have gone through the First Four Rules, Simple and Compound, and are beginning Fractions; Algebraical Exercises consisting chiefly of Numerical Values, Addition, and Subtraction. Contents: Linear Equations and Inequalities; Polynomials; Factoring; Rational Expressions; Linear Equations in Two Variables; Systems of Linear Equations; Radicals; Functions; Quadratic Equations; Exponentials and Logarithms; Conic Sections; etc. A brief overview of pre-algebra and introductory algebra topics. This text is suitable for high-school Algebra I, as a refresher for college students preparing for college-level mathematics, or for anyone who wants to learn introductory algebra. Large number of requests coming from teachers for supplementary work in algebra has led me to collect such material into a monograph, hoping to furnish the teacher with methods and supplementary work by which he may brighten up the algebra review. Arithmetic and algebra for general readers, being an elementary treatise addressed to teachers, parents, self-taught students and adults. It is not exactly a book for children, though I hope that elder children will take a lively interest in it. Topics covered include: pre-algebra review, solving linear equations, graphing linear equations, inequalities, systems of linear equations, polynomials, factoring, rational expressions and equations, radicals, quadratics, and functions, etc. This text covers the work prescribed for entrance to the Universities and Normal Schools. The book is written from the standpoint of the pupil, and in such a form that he will be able to understand it with a minimum of assistance from the teacher. The text is organized to provide the pupil with the maximum opportunity to do genuine thinking, real problem-solving, rather than to emphasize the drill or manipulative aspects which now commonly require most of the pupil's time. This study guide is designed to supplement your current textbook. It is a solutions oriented approach to Algebra. This guide shows what steps to include when working Algebra problems. Take time to try the problems without looking at the solutions. The object of this book is to provide a thorough and effective review that is necessary in order to prepare college candidates for the entrance examinations and for effective work in the freshman year in college. This is the 1914 edition. CK-12 Foundation's Algebra FlexBook is an introduction to algebraic concepts for the high school student. Topics include: Equations and Functions, Real Numbers, Equations of Lines, Solving Systems of Equations and Quadratic Equations. This book takes the best of the traditional, practice-driven algebra texts and combines it with modern amenities to influence learning, like online/inline video solutions, as well as other media driven features that only an online text can deliver. This book is a non traditional textbook in college algebra. Its primary objective is to encourage students to learn from asking questions rather than reading a detailed explanations of the material discussed in a typical textbook. It is expected that this work will result in a knowledge of general truths about numbers, and an increased power of clear thinking. The book is prepared for classes in the upper grades of grammar schools, or any classes of beginners. From the table of contents: Relations and Functions; Linear and Quadratic Functions; Polynomial Functions; Rational Functions; Exponential and Logarithmic Functions; Conics; Systems of Equations and Matrices; Sequences and the Binomial Theorem. The text covers the topics studied in a modern prealgebra course, as well as topics of estimation, elementary analytic geometry, and introductory algebra. Useful for students who need to review fundamental mathematical concepts and techniques. This text covers the traditional topics studied in a modern elementary algebra course for students who have no exposure to elementary algebra, have had an unpleasant experience with elementary algebra, or need to review algebraic concepts. Learn to do algebra mentally and intuitively: mathematicians use their minds in ways that make math easy for them. This book teaches you how to do the same, focusing on algebra. As you read and do the exercises, math becomes easier and more natural. These notes are accessible to anyone wanting to learn Algebra or needing a refresher for algebra. While there is some review of exponents, factoring and graphing it is assumed that not a lot of review is needed to remind you how these topics work.